Brian Bolland superhero illustrations are becoming rarer to find than bald eagles...yet I found these two illustrations featuring Superman! 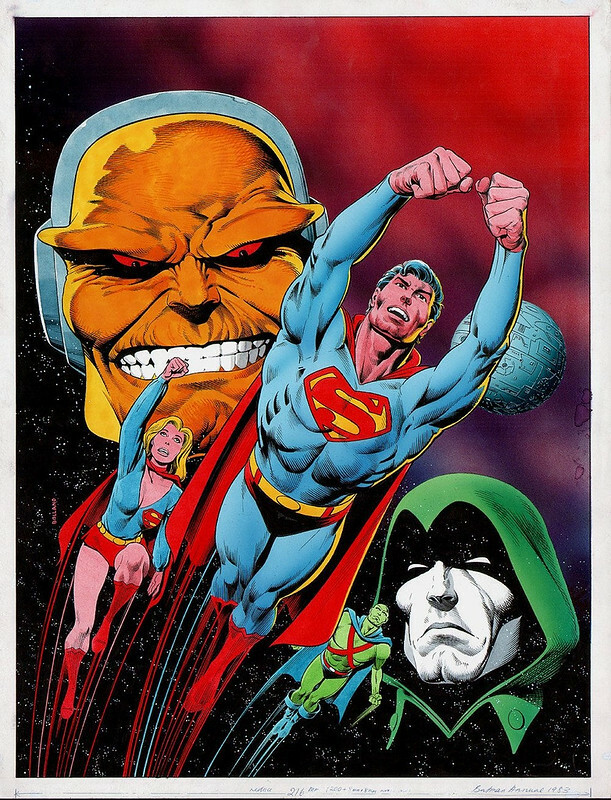 This one was from a Superman Annual in 1983 for the overseas market, featuring Mongul, Supergirl, J'onn J'onzz and the Spectre. Quite a variety there! 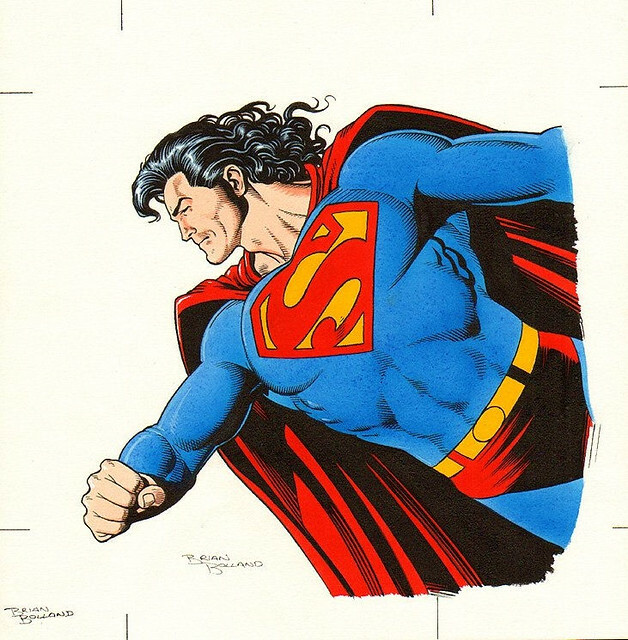 I like this one a bit less...1990 Mullet Superman! This was from a 1990 calendar, sold in the UK as I was led to believe. Mullet Superman, I even had a statue with that haircut. Sheesh! Nuff Said.